Vegetarian Menu Hay 21 productos para elegir. 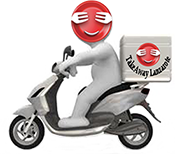 Takeaway Lanzarote - Restaurants Playa Blanca Chinese Cuisine - Playa Blanca, LanzaroteAsia Restaurant- Fusion Cuisine. Takeaway Lanzarote - Restaurants Playa Blanca Onion Rings ( appetisers) Thai and Japanese Cuisine - Playa Blanca, LanzaroteAsia - Fusion Cuisine. Takeaway Lanzarote - Restaurants Playa Blanca Vegetable Wan Tun (appetiser) Chinese, Thai and Japanese CuisineAsia - Fusion Cuisine - Playa Blanca, Lanzarote. Takeaway Lanzarote - Restaurants Playa Blanca Fried Vegetable Balls (appetiser) Chinese, Thai and Japanese CuisineAsia - Fusion Cuisine - Playa Blanca, Lanzarote. Takeaway Lanzarote - Restaurants Playa Blanca Fried Curry Triangles (appetiser) Chinese, Thai and Japanese Cuisine - Playa Blanca, LanzaroteAsia - Fusion Cuisine. Takeaway Lanzarote - Restaurants Playa Blanca Vegetable Tempura (mains) Chinese, Thai and Japanese CuisineAsia - Fusion Cuisine - Playa Blanca, Lanzarote. Takeaway Lanzarote - Restaurants Playa Blanca Toffu in Chinese Sauce (mains) Chinese, Thai and Japanese Cuisine - Playa Blanca, LanzaroteAsia - Fusion Cuisine.